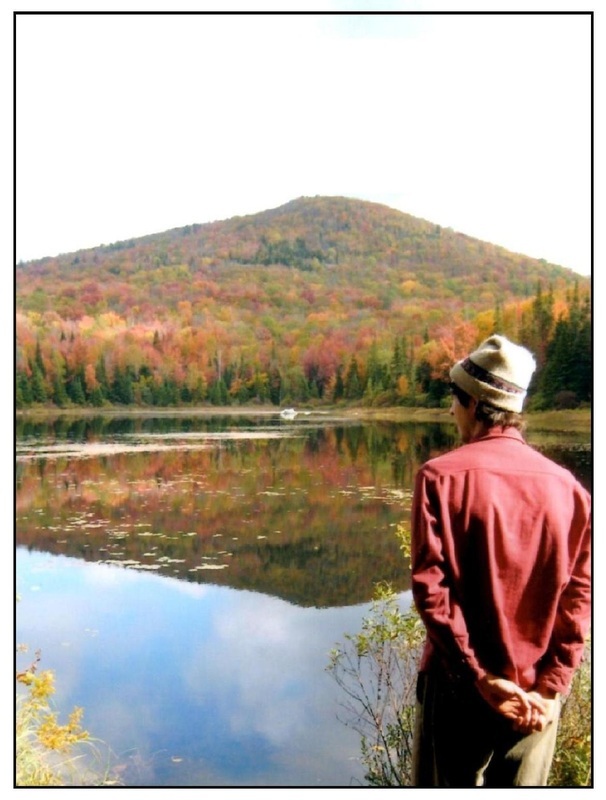 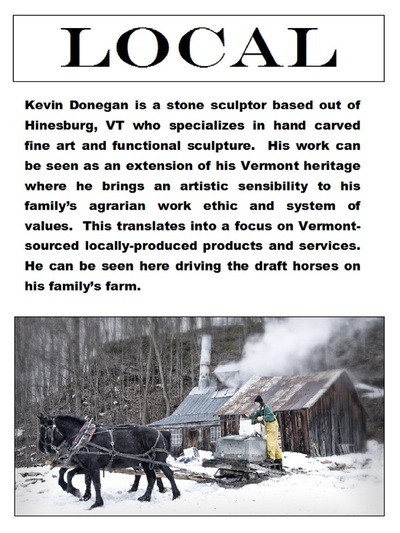 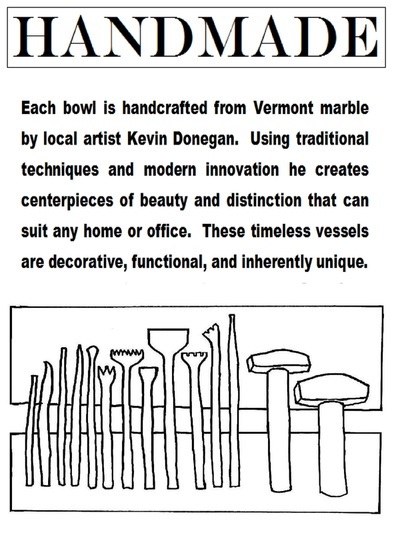 Each bowl is handcrafted from Vermont stone by local artist Kevin Donegan. Using a combination of traditional techniques and modern innovation he creates centerpieces of beauty and distinction that can suit any home or office. 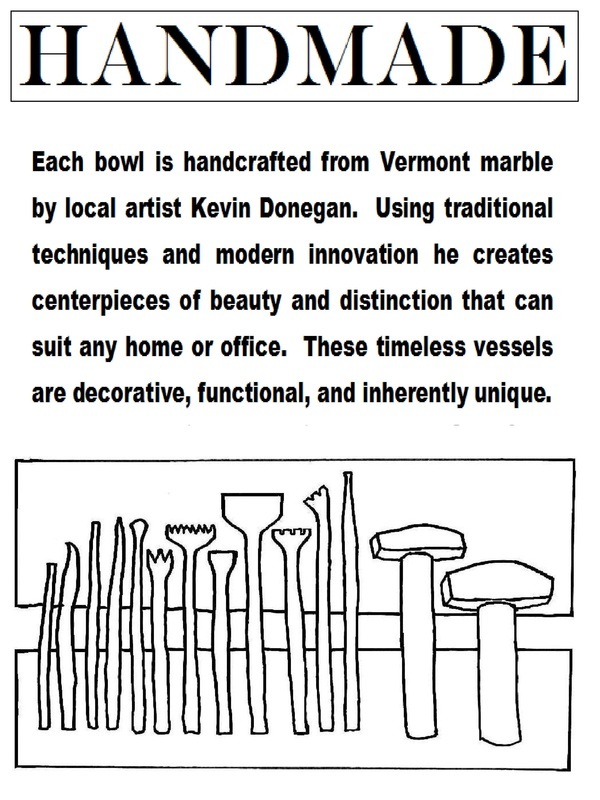 These timeless vessels are decorative, functional, and inherently unique. 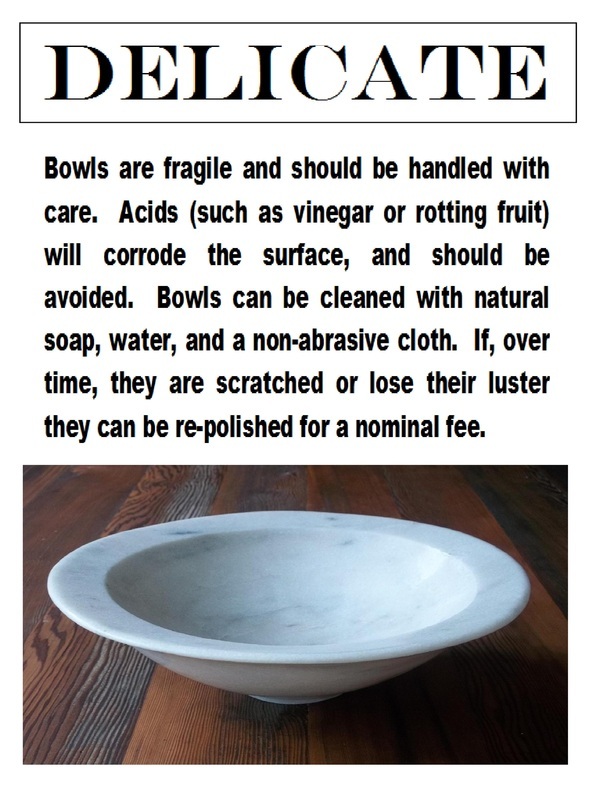 Bowls are fragile and should be handled with care. Acids (such as vinegar or rotting fruit) will corrode the surface, and should be avoided. 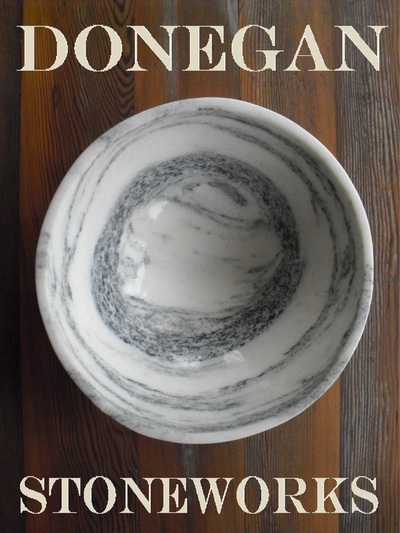 Bowls can be cleaned with natural soap, water, and a non-abrasive cloth. 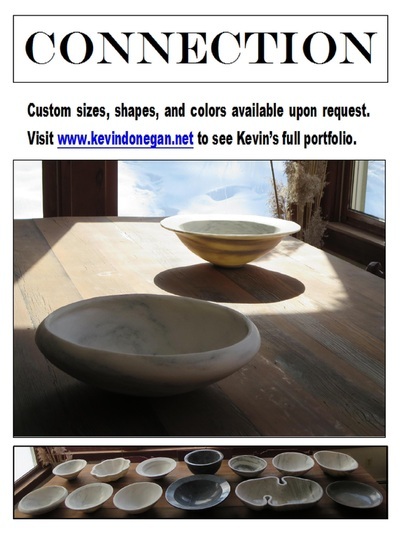 If, over time, they are scratched or lose their luster they can be re-polished for a nominal fee.